We also have a selection lifestyle images available, under embargo for 12th April – please let me know if you would like these sent to you. Since 1996, Fashion Targets Breast Cancer has joined forces with some of the biggest names in fashion to speak up against breast cancer, and so far has raised more than £15 million to make life-saving research happen, and help put a stop to this devastating disease. 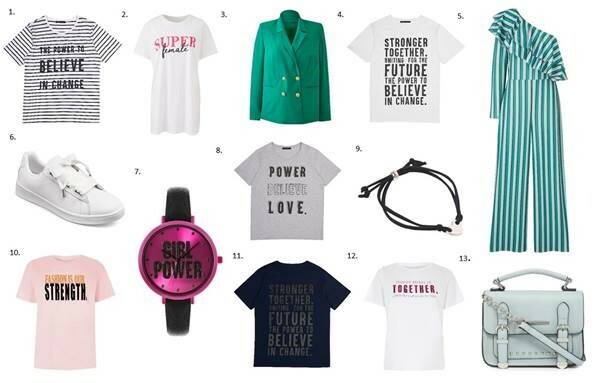 For 2018, the high-street will once again reunite to make a statement against breast cancer, with M&S, Debenhams, River Island and Simply Be, all launching exclusive statement piece collections. Each piece in the collection will carry a minimum 30% donation to Breast Cancer Now during the six week campaign. This year’s campaign theme, Make a Statement, gives UK shoppers the opportunity to shop the collection and make their statement against breast cancer. With each statement tee, handbag, pair of ripped jeans and sundress sold, we will get one step closer to stopping women dying of breast cancer. Please see below our Statement Edit from the collection. Do let me know if you’d like any further information, or any additional lifestyle imagery.